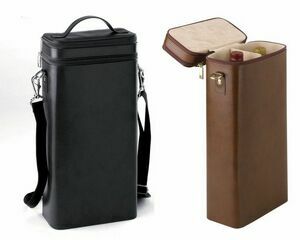 12oz canvas bag designed to hold 2 standard sized bottles of wine. Comes with insulated lining and inner divider. Has outside pocket perfect for bottle opener. As a wine store, you must constantly think of ways to market your store as being the best of the best. Although general marketing efforts, such as advertising in the media an other promotions, are an important part of this, there are many out-of-the-box options as well. 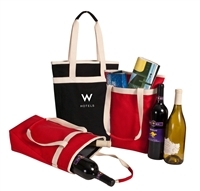 One option you have, for instance, is to provide your customers with our 12 oz canvas wine bottle tote bag. This is a marketing strategy that has the potential to make a real difference. 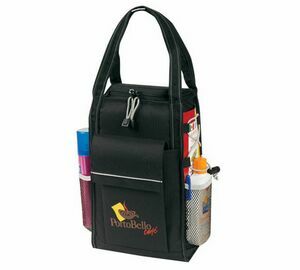 Firstly, the bag can be imprinted with your store name and logo. This means that your store goes wherever the bag goes. Since it can be reused many times, this has the potential to be far more effective than a printed ad in a magazine or newspaper. And there are additional advantages, as well. 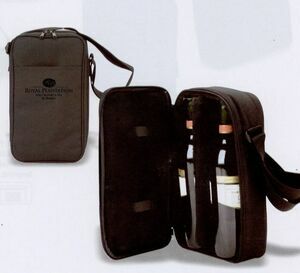 The bag looks absolutely fantastic and can safely hold two bottles of wine thanks to the inside divider. 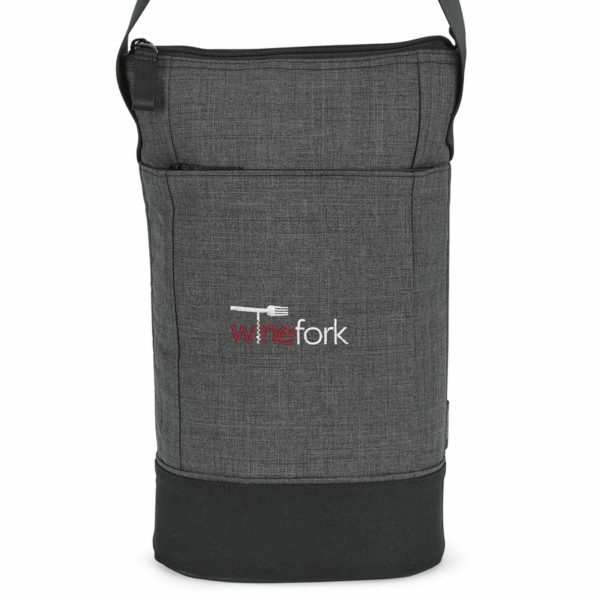 Additionally, it has a pocket on the outside, where people can place things such as a bottle opener. 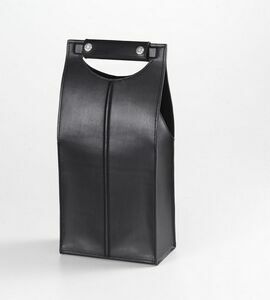 By offering your customers this bag, you are showing that you care about them. You allow them to transport their purchases safely and comfortably, protecting the bottles from breakages. 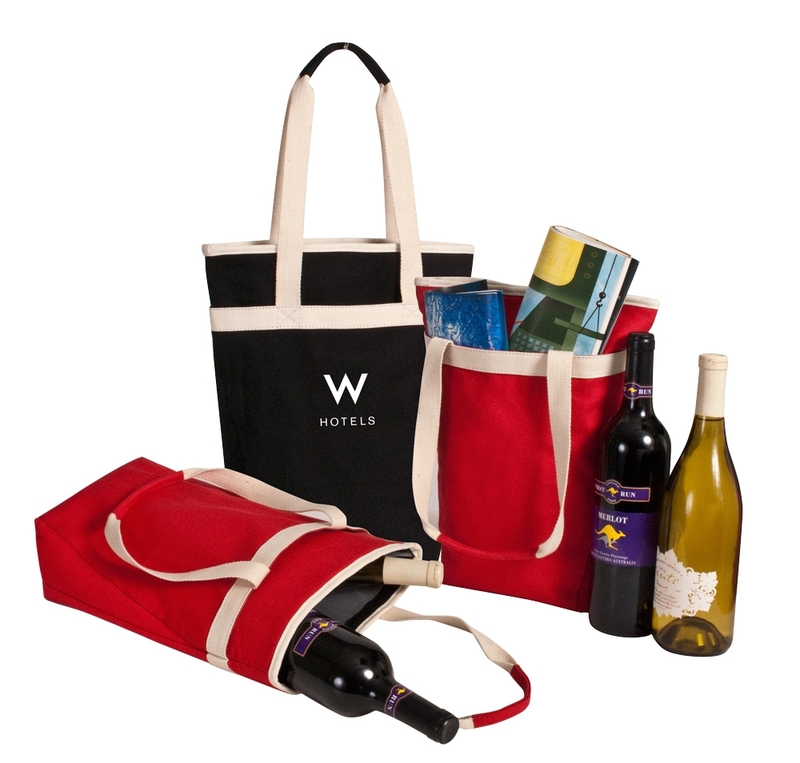 You could consider giving this bag with every purchase of at least two bottles of wine, for instance. Market research has shown that customers who receive freebies of some sort are far more likely to return to your store and to recommend it to others. Again, this is fantastic marketing technique.